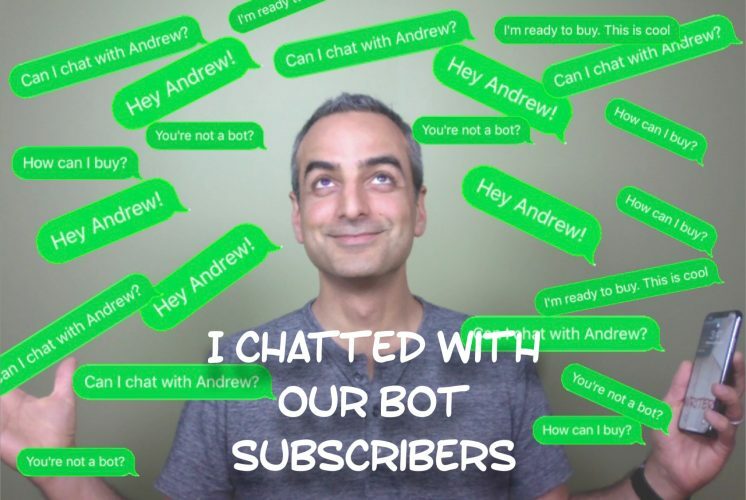 We usually talk about using chatbots to remove humans, so we can automate sales. 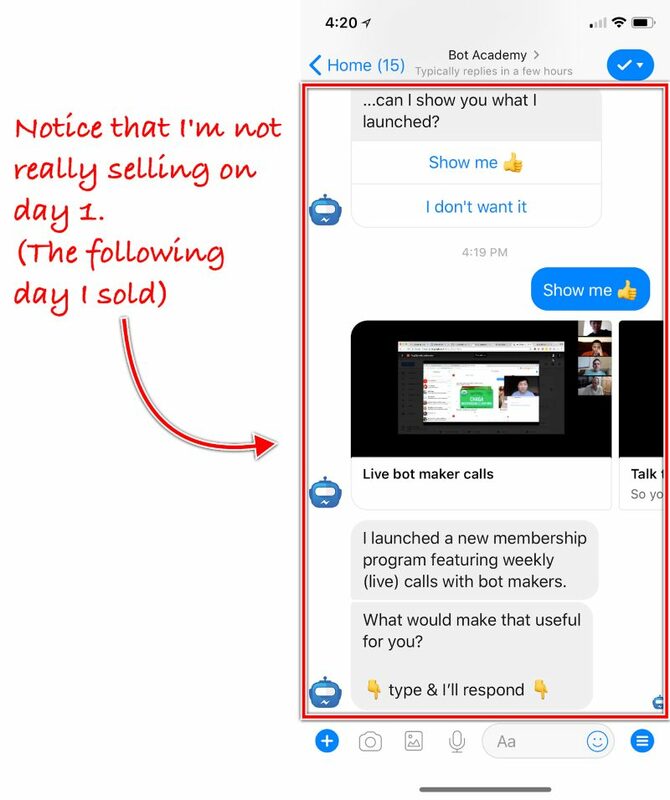 A few days ago I spent over 12 hours live chatting with over 300 people and made 11 sales. 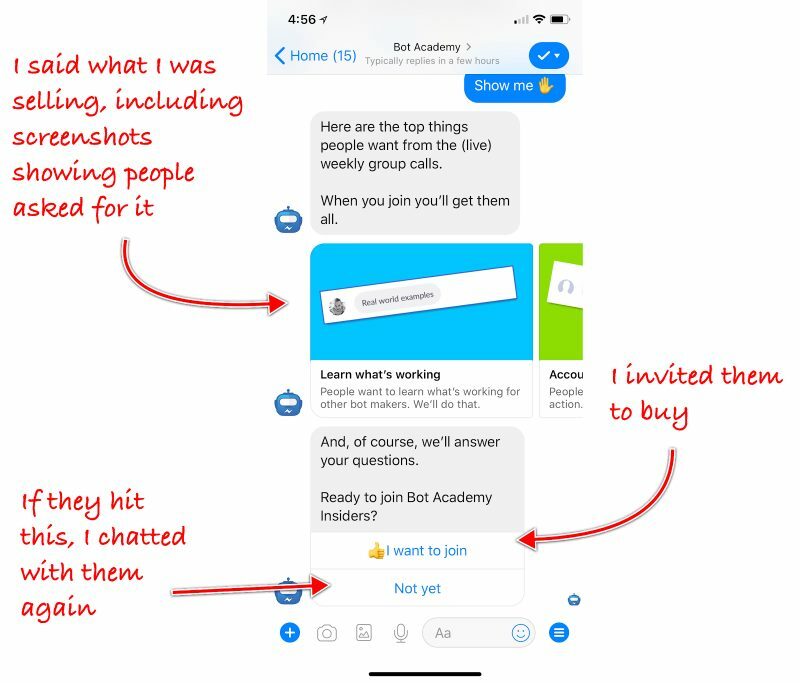 I remembered the importance of talking to customers on our company call when we discussed Bot Academy Insiders. 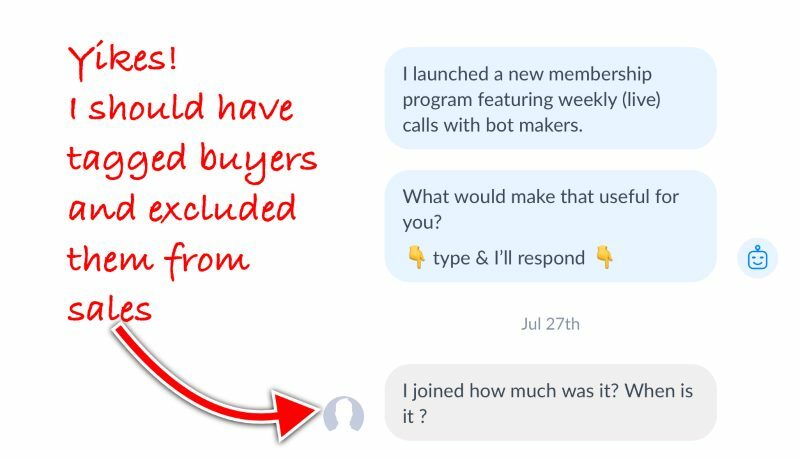 That’s our new membership program which features weekly calls with bot makers. The best move I made was NOT messaging everyone at the same time. I broke up my list into smaller lists. 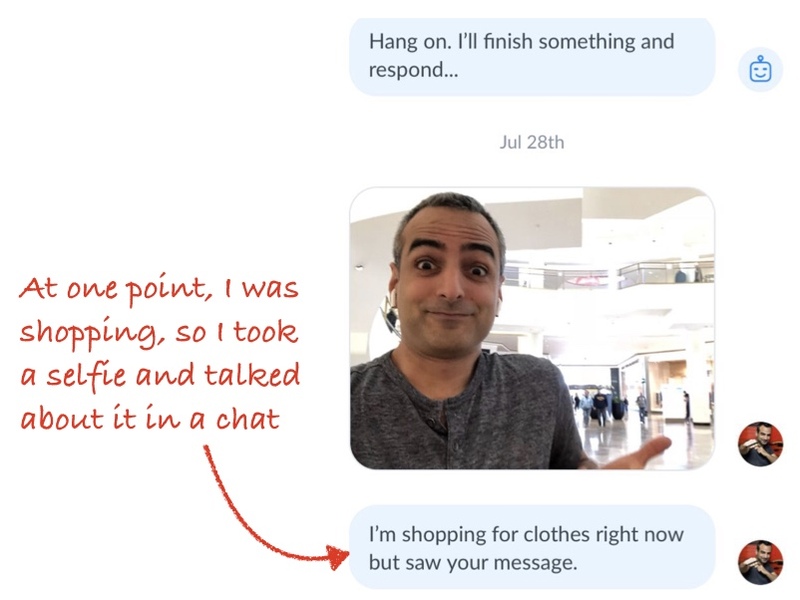 I did it so I could test different approaches to getting people to chat with me. 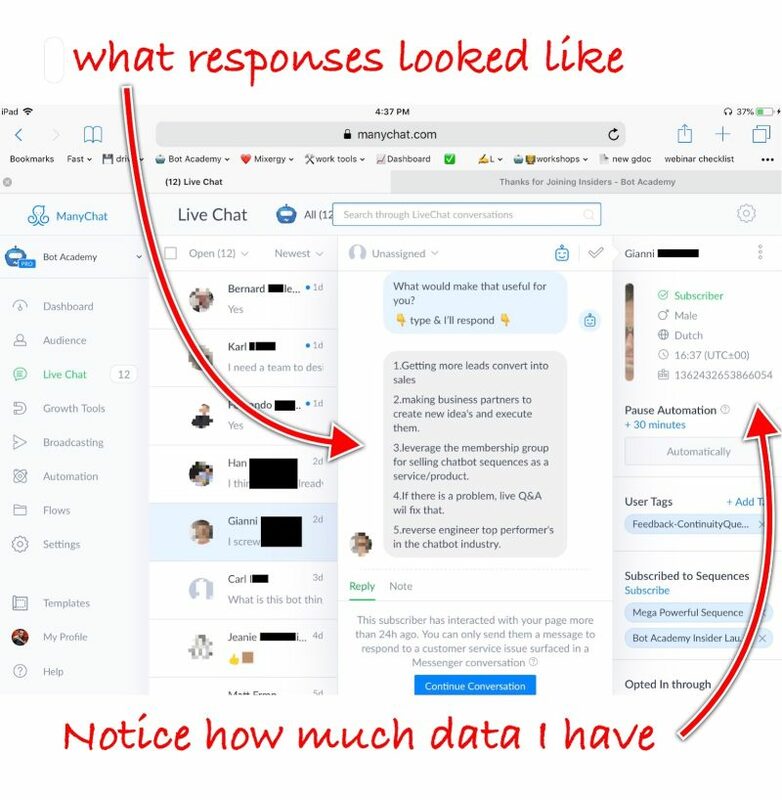 But it also saved me from having hundreds of people chat with me at the same time. 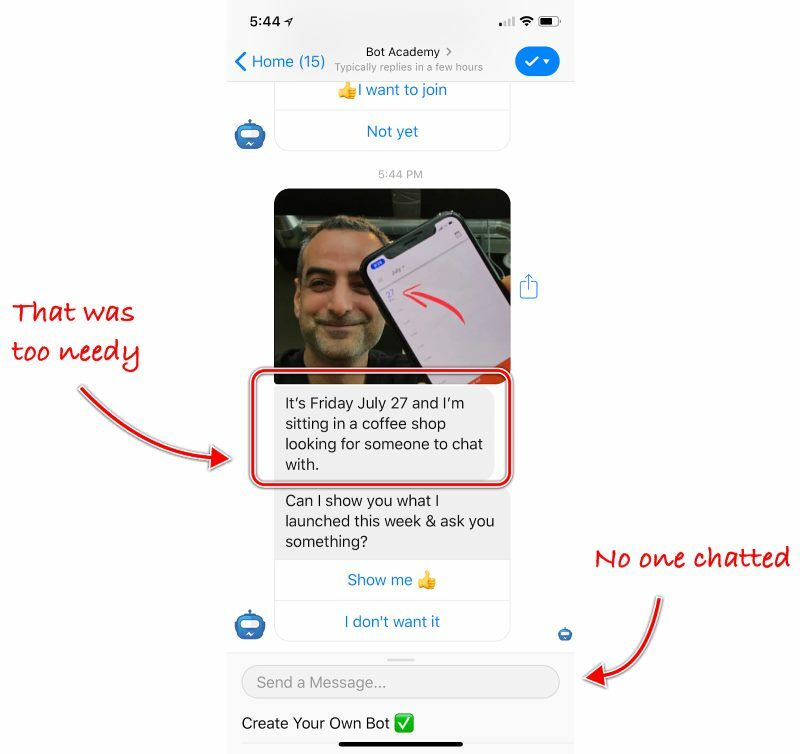 If you’re using ManyChat, before sending your message, make sure to go the settings page and select who you want to target. To see it in action, go here. I included a photo of myself with the date, to show it was really me and emphasize I was really there on the day I was asking for feedback. You should really just see it for yourself. This section is the most technical I’ll get in this post, so skip to the next if you don’t want the nitty gritty. I use ManyChat to create my chatbot. So in that app, I used the User Input feature to enable people to write to me. When they typed, I told my bot to start a conversation. This is what the live chat section of my bot looked like. Notice the level of detail some people gave me. I didn’t try to sell when I chatted with people. I just wanted to learn what they wanted and have them get to know me. 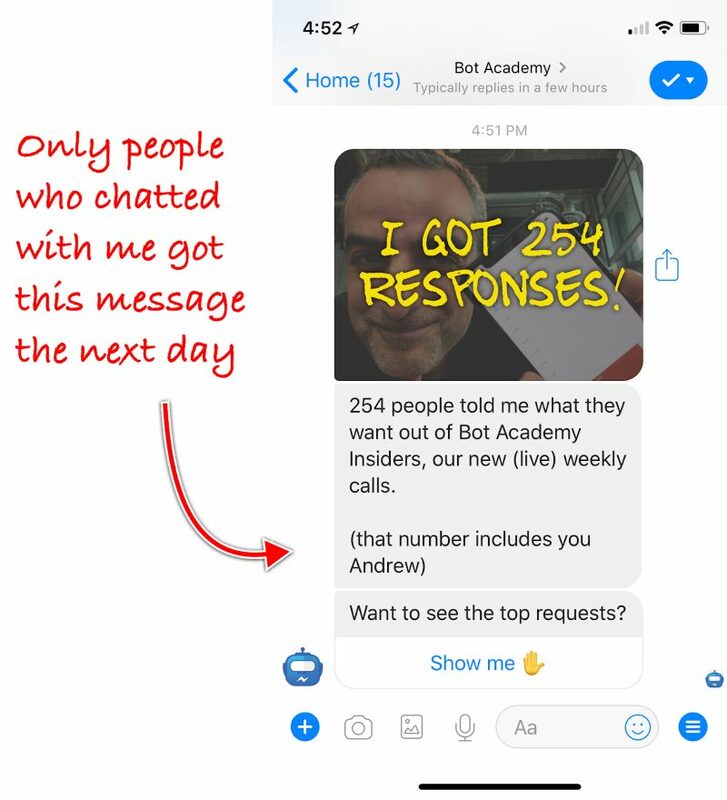 I showed that much of what people asked for when they chatted with me will be added to Bot Academy Insiders. And, I gave them a link to buy. 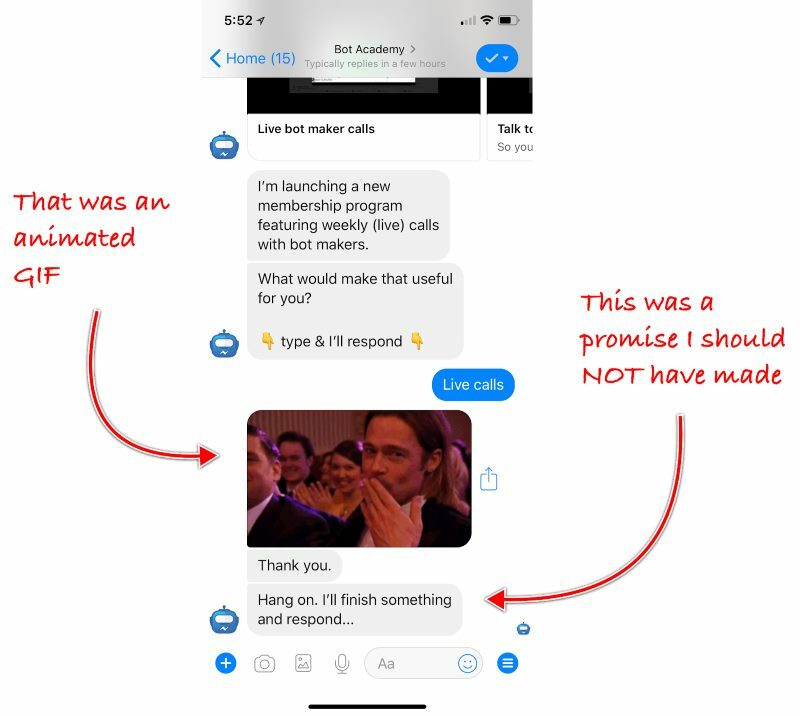 To really understand what I did, you need to see it in Facebook Messenger. 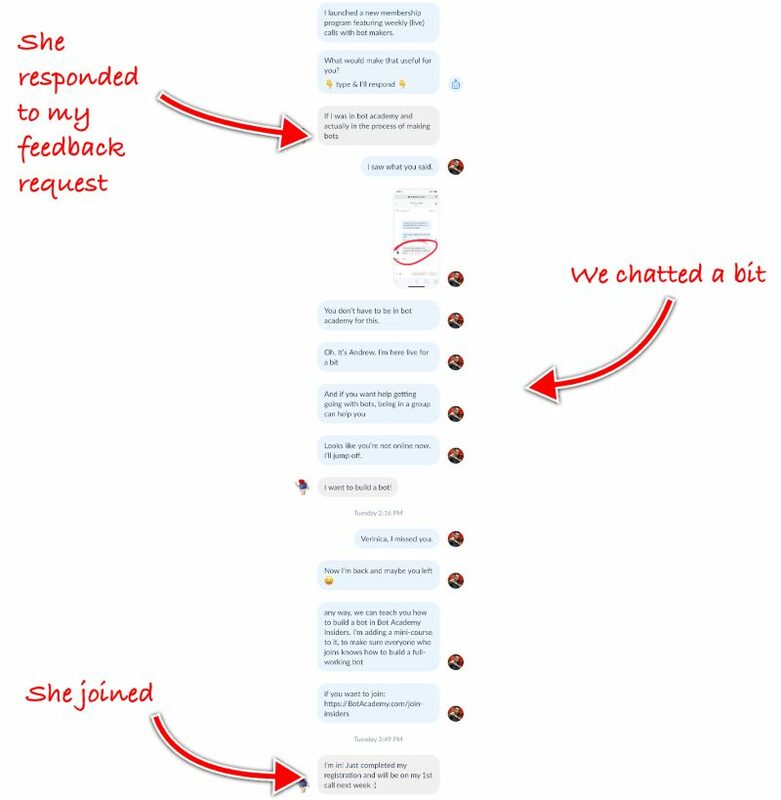 So I copied this chat experiment into my bot. 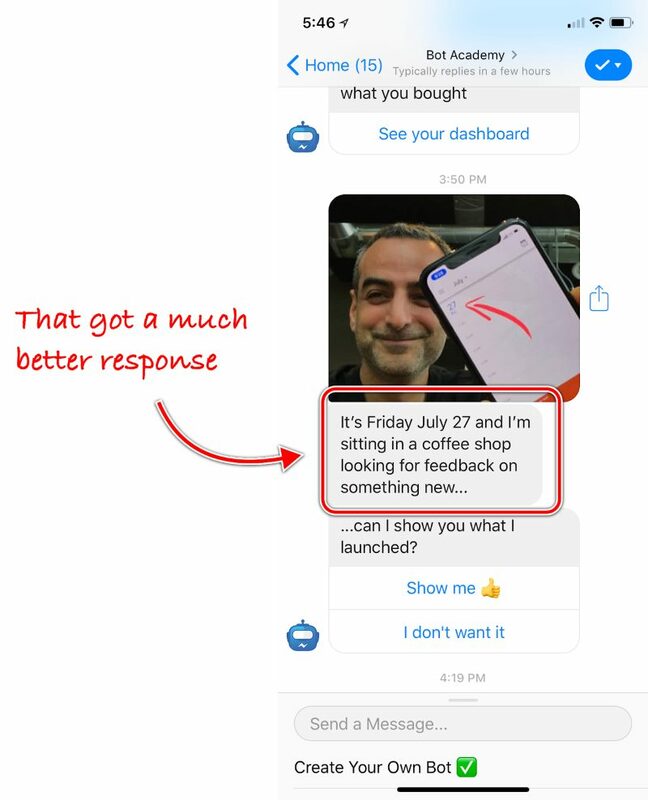 See it in Messenger now. I didn’t do a hard sell at all. 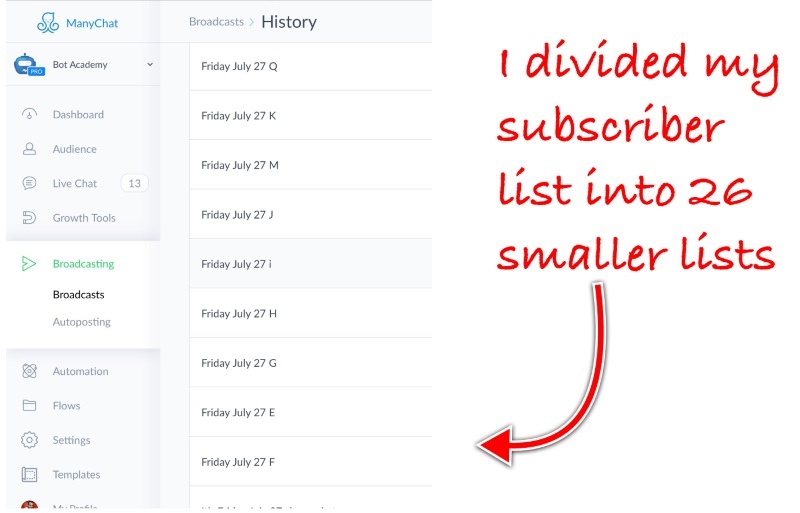 I was trying to understand what my subscribers wanted out of a monthly membership plan. After I answered a few questions, some people bought. 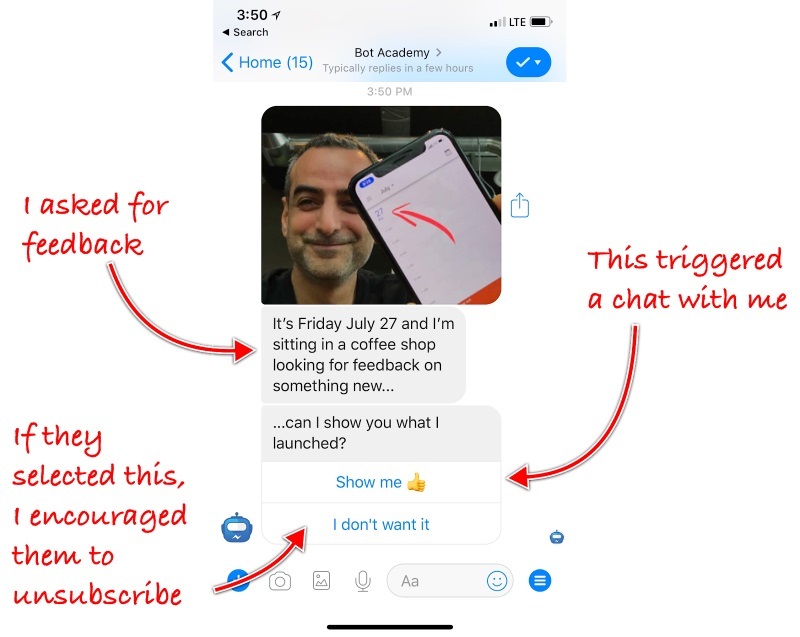 In the big Bot Academy course, we teach our students to tag their chat subscribers based on what they do. 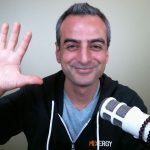 I once bought a course from Ramit Sethi, but before I did, I sent him a question. I can’t remember what I asked him or what his response was. Turns out the question wasn’t important to me. Without realizing it, I had a different motive. I was checking to see if he was really there, if his business had a pulse, and would be there if I had issues after I paid. After he responded, I bought. 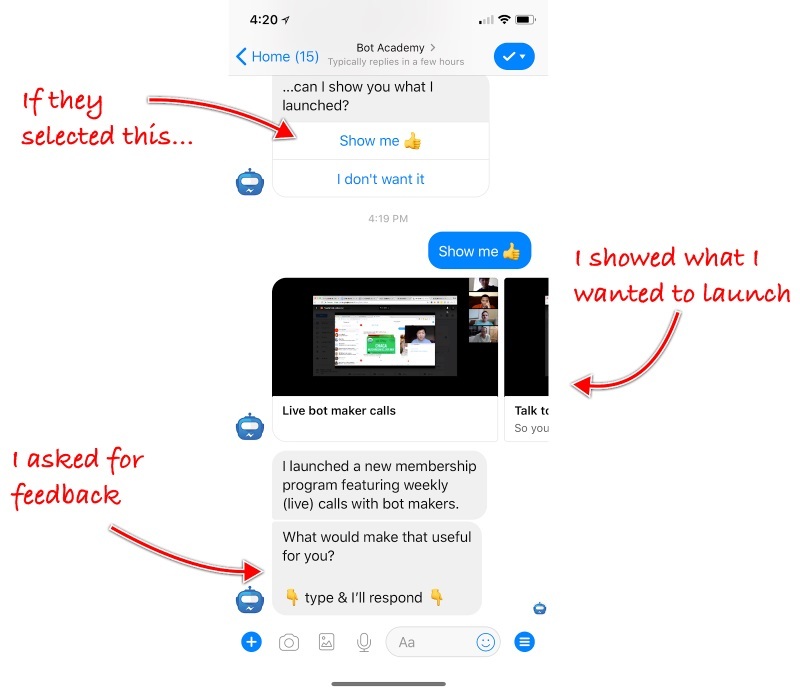 The same happens at Bot Academy when I go through the list of people who sign up for any of our programs I often recognize about half of them from past conversations. 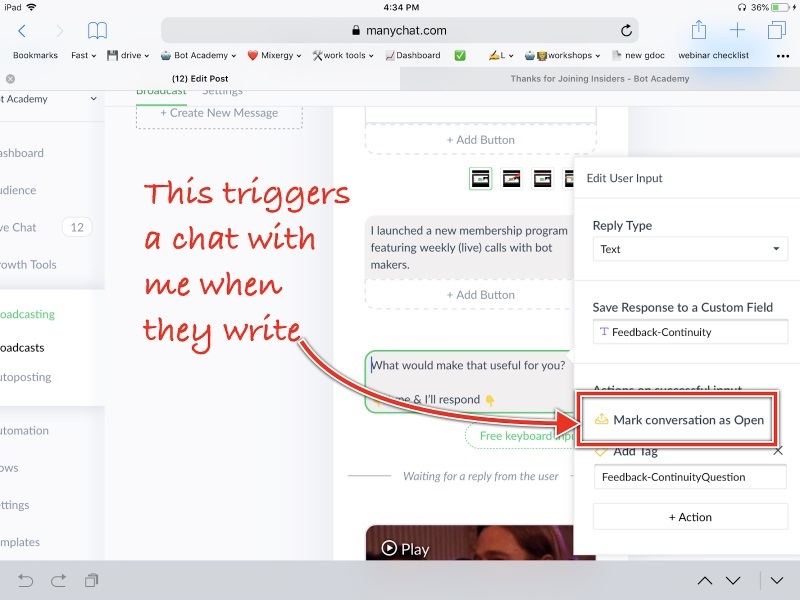 To show that I was really there and listening, I often took screenshots of people’s profile photos or past messages and I scribbled something on them using my iPad (which I use instead of a laptop). Then I’d chat the image over to them. Or, since I was shopping for clothes when some people contacted me, I sent them photos in our chat. Some people who got my “would you buy this” messages, were confused because they already bought. When someone buys, my email marketing software automatically tags them as buyers so I wouldn’t market to them any more. 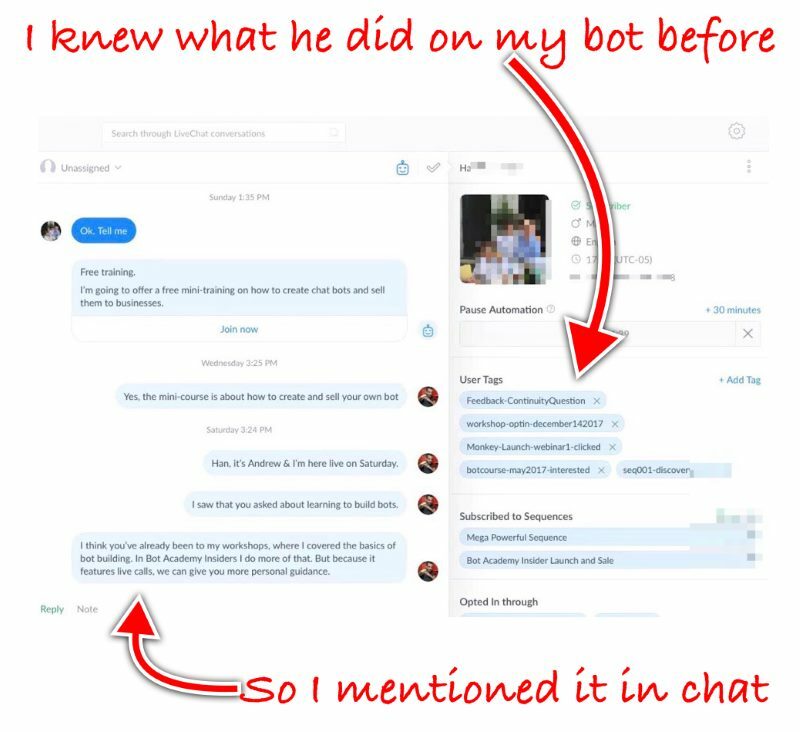 But I didn’t think to do that in chat, so buyers kept getting messages. From now on, after people join, they’ll see a page like this. As soon as they hit the button, they’ll be tagged as buyers. 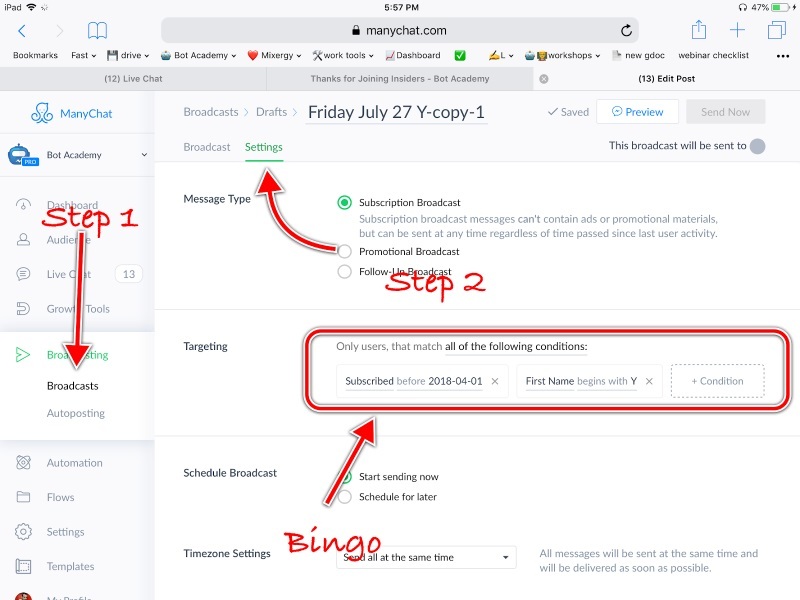 That will stop the sales messages and switch them to getting member-only messages. But notice how this messaging sounds too needy? Exactly ZERO people responded to this. It was a mistake. Some people didn’t really need a response. But my bot promised a response so I had to sit and send something that felt forced. Within 24 hours, I got 254 live chats. Think about that. At an average of 3 minutes per conversation that’s 12 hours and 42 minutes. Within 2 weeks that number climbed to 388 live chats. I’m an extrovert. I love talking with people. But even I was exhausted. Qualify people a bit before sending them to me. Many of the questions I got could have been answered by other members of our team. So, should YOU do this? Only 11 of them bought. That’s not a phenomenal conversion rate. Still I recommend you do it. You should learn from my mistakes (see above) to improve your conversation rate. BUT chatting with subscribers isn’t just about conversation rates. 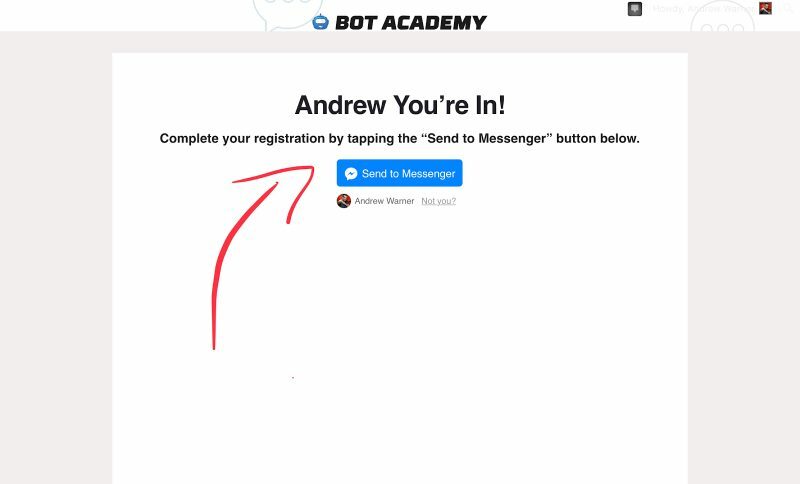 I wasn’t sure what Bot Academy Insiders should be. 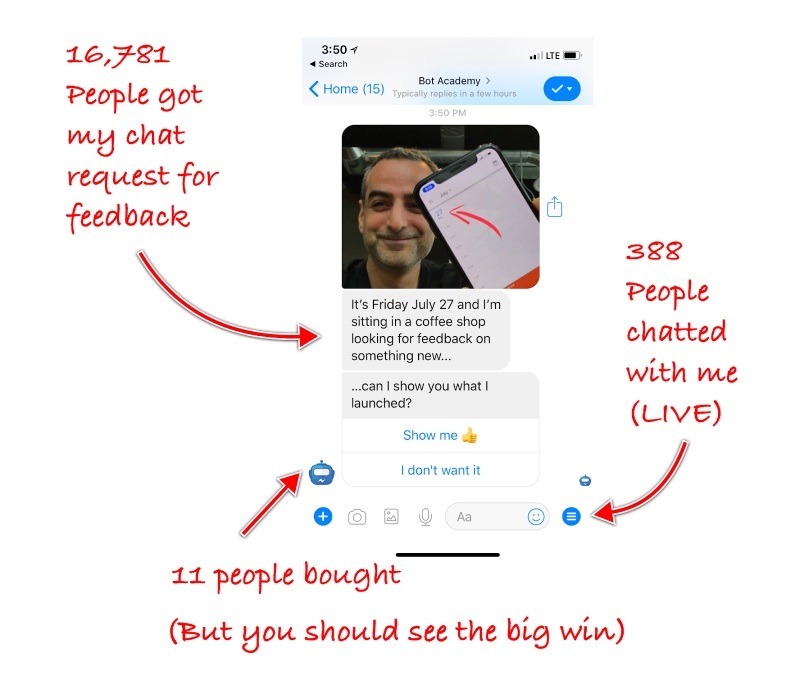 These chat sessions helped me see that people wanted live weekly calls. Before Zappos was a huge success that it is, I pestered Tony about how he knew that paying his customer service people to spend as much time as they wanted on calls with customers was worth doing. Using that same calm, reasoned voice he always uses, Tony patiently told me that you don’t have to have stats to tell you that talking with customers is just good business. You know how many sites have a “share this on Twitter” link? 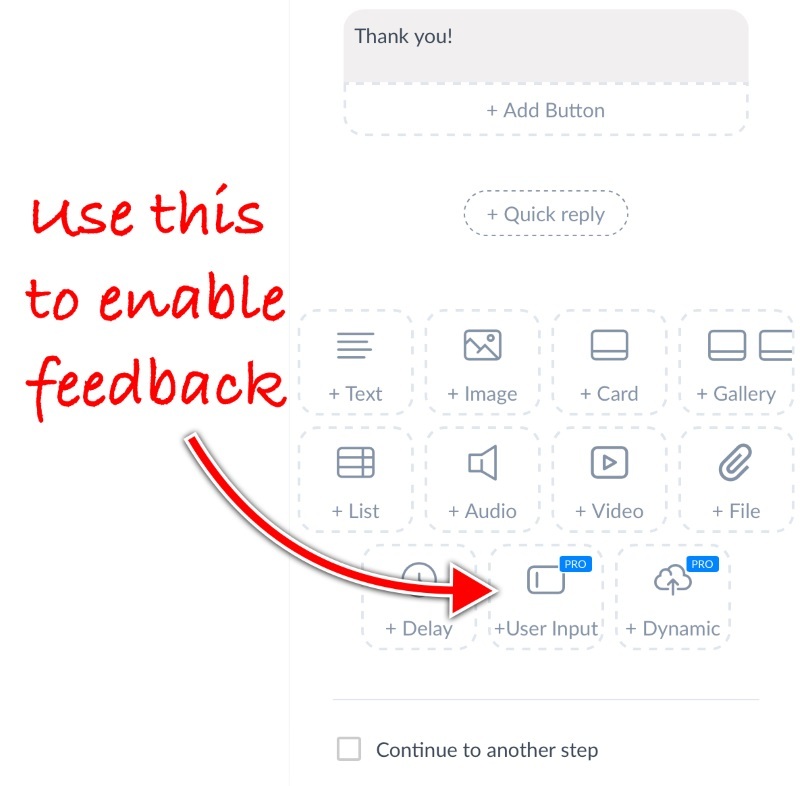 My next experiment is to see if I can create a “Share on Facebook Messenger” link. Could you try it here and see what you think?